Got A Health Care Puzzle? There Should Be An App! : Shots - Health News A competition to encourage entrepreneurs to design health apps came up with a wide range of possibilities. One app audits medical bills for errors and savings. Another helps find prices for services, such as dental exams, for people without insurance coverage. 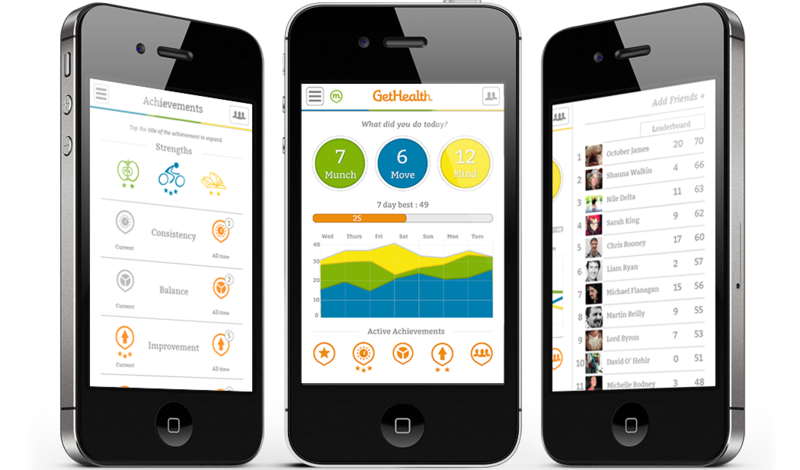 The GetHealth app was a runner-up at the recent Hackovate Health Innovation Competition held in Kansas City, Mo. Kansas City, Mo., is looking to boost its health-tech cred. So the city that's home to Cerner Corp. and other health information firms seemed a natural to host something called the Hackovate Health Innovation Competition. A mashup of innovation and old-school hacking (though none of the participants was bent on doing harm, we're assured), the goal of the competition was to improve the nation's health system and help people navigate the complexities of the Affordable Care Act. Oh, there was a catch. They had to pull off these health care feats with an app. Ten finalists made their case before a panel of five judges last week. The apps were varied. Some focused on improving personal health; others served as navigators of the federal health law; and a few made health care costs easier to find. Liam Ryan, a 23-year-old from Dublin, Ireland, earned a runner-up prize with a program he describes as "Foursquare for health." A user comes up with a team, perhaps of friends and family, and then competes against them on healthful behaviors. Messages pop up on the team members' phones when someone has earned points. "The idea is my friend went for a walk at home, got some points without me. All of a sudden I want to beat him back," Ryan told judges, adding that he sees employers, with their growing concerns over health care costs, taking interest in a program like his. There were lots of apps that aimed to help navigate the Byzantine world of health care prices. What if you knew the price of that cavity before getting it filled? That's where finalist Toure McCluskey, from Seattle, comes in. "Today online, you can book and plan your dream vacation, you can research your home, you can buy a car. You can even get a Ph.D. But you can't find out the price of your next dental exam," McCluskey said. McCluskey's app locates medical services that often aren't covered by someone's insurance, such as dental or eye exams. The service allows users to compare options in an area based on price and a doctor's credentials. In Chicago, one city where the app is live, McCluskey found prices ranging from $60 to $460 for an optometrist visit. Scott Speranza was second runner-up with an app that audits medical bills. People scan bills into their phones, then the app searches for errors and savings. The grand prize went to eLuminate Health. The company's program focuses on outpatient surgeries and tests, such as mammograms or MRIs, where prices can vary by thousands of dollars. Someone with traditional insurance coverage may not know — or care — whether a procedure costs $500 or $5,000. But the rise of high-deductible health plans means people may pay anywhere from $2,500 to $5,000, or more, before insurance starts footing the bill. "You're thrust out into this system where you have no idea — you can't do any type of shopping," said eLuminate's Peter Yates. One day, Yates would like to see providers set and publicize their prices. "Just like a mechanic sets the price on an oil change," he says. People who need a mammogram could then compare their options based on price and quality much as they now shop for plane tickets on a site like Expedia. Yates says the idea, which will be piloted in Kansas City this summer, has sparked the interest of medical groups that typically have less pricing leverage than large hospital systems. And while taking part may not appear to be in the interests of large providers that do well now, Yates thinks that could change. "We really want to flip that around to more of a normal commercial model of 'this is the thing I'm selling, here's how much it costs,' " Yates tells Shots. "We want to make health care like almost any other consumer good that people buy today." The competition was co-sponsored by Think Big Partners, a business incubator, and tax giant H&R Block, both based in Kansas City. Longtime Kansas City business leader Ned Holland, now an assistant secretary for the U.S. Department of Health and Human Services, was one of the featured guests. "This was all impressive work," he said. This story was produced as part of a partnership between NPR, KCUR and Kaiser Health News.